When all is said and done, casino players sign up at casinos to play online casino games, right? While security, deposit methods and customer support are important, a casino without games is not going to catch your attention. In fact, it would just be a single blank web page with a very bored customer service rep wondering what had happened to their life. For casino players in the UK, online casinos have proved immensely popular. The best casinos out there seem to stand head and shoulders above those that are not quite up to the mark. With more revenue made off the back of loyal players, the premier-tier casinos will continue to produce more and more innovations and improvements in how we play games, which can only be a good thing for players. This is why it’s crucial for you to know which are the best casinos to play at with the richest variety of casino games. But what are the most popular online casino games in the UK? What makes these particular games stand out from others? In this guide, we will explain why the favourites remain so popular. Pretty much everything you see in the UK gambling world today, that massive multi-billion pound online industry that seems to have a permanent space on every big football shirt in the world, has been transmitted to us via the casino world. They might separate things out these days, but if you take a look at a slot machine you’ll see a roulette wheel lurking in its history. 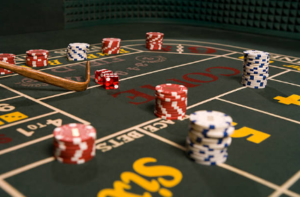 Because that’s the glorious simplicity of gambling – the random event that you take a chance on – that lies at the heart of the hugely diverse and multifarious online gambling world of today. 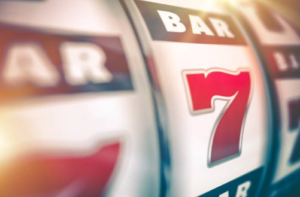 What are some of the most popular casino games in the UK? Almost every culture has its games of chance, but history has given some cultures more say over our current gambling world than others, and it is overwhelmingly the casino mores of Europe, the United States and China that dominate your average casino site today. You can split UK casino games into two big categories: card games and table games, though the lines between them aren’t that clear. 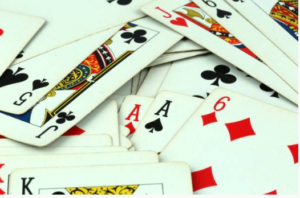 By far the most popular casino card game is Blackjack (also known as 21 or sometimes as Pontoon), a very simple game that is played between a table full of players and a dealer armed only with a bowtie and tux, or gown, and a big shoe full of cards. There’s more to it than that of course. That shoe is packed with several packs of cards (you should be able to check how many wherever you play – real or virtual – and you can be sure that the most successful players do). The players compete to get a better hand than the dealer, and if they do they win. That alternate name of 21 is key here. Twenty-one is the target. Get more than that and you’re bust and out of the game. Get exactly that and you’ve hit a Blackjack – aka the Natural – and you virtually can’t be beaten. 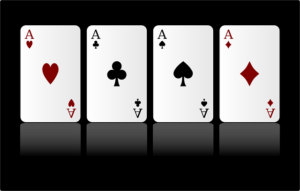 The usual sequence is this: All players are dealt two cards and so is the dealer. Court cards are all worth 10 and aces are worth either one or 11, whichever suits the player. Players may either stick with what they have or “twist” and get additional cards, aiming to get as close to 21 without going over as they can. Then the dealer has a go, following a set of rules that define his behaviour. Check the rules at the site and table you’re playing at, but usually, he must keep twisting until he gets at least 17 points in his hand. The house pays players who beat the dealer. There is a lot more to the game than this. There are many rule variations, and if you want to start playing with a decent strategy then you’re looking a books-full of information to mull over. With all of these games, you should make sure you check the rules of the specific game you are playing and be sure you know what’s going on, whether it’s a live game or a simulation. Even more complex than blackjack is poker, surely the most storied of all casino games. Its status in the online gaming world remains as high as when a poker scene was a cliché that every western movie had to deliver. But playing poker online is more complex than getting a few buddies and a lake-full of beer together for an evening at home. Because poker is generally played against other players, delivering it in an online setting is tougher. A lot of online poker is video poker, which is really a variation on slot machines. If you find a good poker site, and you hit a good streak you should probably stay there as no game is more rewarding in terms of playing experience and money. There are as many variations as there are mediocre Clint Eastwood films from the 70s (there are some good ones too), so this is a game that you must study in depth before you start to play for real money. The great granddaddy – sorry grand pere – of casino games is probably baccarat, and like a lot of casino games, it has French origins. Often played behind a curtain in a high-rollers room, and a favourite of James Bond, baccarat is super stylish and great fun once you get your head around the rules. Like blackjack, it’s a game played by a table full of players against a dealer. In this game though, nine is the magic number. Please study the rules and the variations – European Chemin de der, and American punto games for example – and make sure you know what game you are playing before you sit at a baccarat table – James Bond would have hated to look a fool, but he had a gun if he needed a diversion and you probably don’t. More games, more variations! We have fuller guides to these games elsewhere on the site, and we suggest you read them before you play. Roulette is what most people imagine when they think of a casino. Perhaps it’s the spinning wheel or the big beautiful gambling table. Whatever, it’s the most popular casino game in most casinos. It’s also a lucrative game for the casino, and you should bear that in mind! That’s probably why you’ll find more roulette tables than anything else in most bricks-and-mortars casinos. The variations are French, European and American in order of generosity to the player. We really don’t recommend playing American – they always have to take more! – unless you have no choice, really like a site that doesn’t offer a variant, or you’re in love with the dealer. No game is more fun, and no game has attracted more mathematically inspired nonsense to scams masquerading as so-called fool-proof betting systems. Play by ear, and accept that it’s a game of chance and enjoy the atmosphere is our best advice! What are some of the new casino games? The casino world is quite contradictory. It is both in love with tradition and desperate for innovation. That’s why we’ve restricted our list of games to those classics above. We could have added plenty more, including a number of dice games, but most casinos build their main offering around those old classics. But there is innovation, and it’s driven by three forces: globalisation, tech, innovation. Globalisation is introducing new casino games to western audiences that have a long history elsewhere. This is particularly true of Far Eastern games. China has a long and complex gambling history, with a hugely complicated culture attached to it. 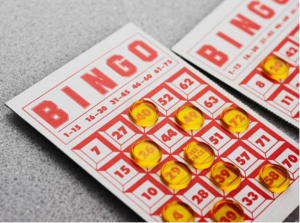 This hugely simple game is essentially an instant lottery draw. 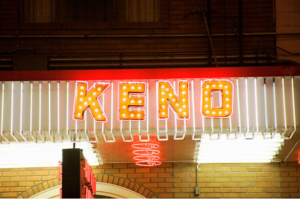 There are usually 80 keno numbers, and players can make a series of bets on which 20 of those numbers will be drawn at random. It’s quite a theatrical experience in the flesh, and very addictive wherever you play it. Whether it was really invented to fund the Great Wall of China, we’ll probably never know! This dice game is an essential part of Chinese national identity. But it’s so simple that it’s travelled across the Far East and is now becoming popular in global casinos. And why not? Who can’t understand betting on a roll of three dice? This is a tile game. Tiles are more often used than cards in Chinese gambling, but it’s not hard to make the switch to understand this game in which players try to score a total of nine to take the pot. This use of tiles has played into a number of Chinese and Far Eastern variants of poker that are closer to instant draw games than the sometimes long, drawn-out process of an actual game of poker. This makes Chinese Poker much simpler to play, and it’s a great way into the more complex card games for beginners. 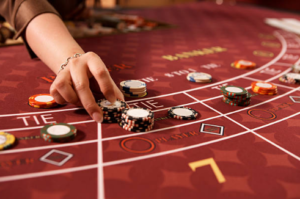 Why you should play free casino games! Does this really need much explaining? Maybe it does. We’ll explain anyway. Casinos usually offer some play for free. It’s a great business for them because they’ll hope to convince you that the game they’re offering is the best. That’s important, because – as we’ve seen above – even the most established games can come in a bewildering variety of rules and styles. And we haven’t even touched on the many game developers who put out these games. They all have different player experiences, graphics and sound styles, dealer protocols and so on. So if you’re going to play a game you should try it out. This is especially true if you’re just learning the ropes on a completely new casino game. 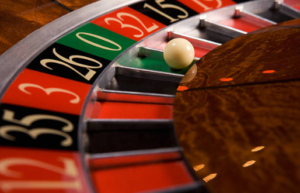 Hopefully, we don’t have to tell that you that putting a real £1,000 bet on 16 the first time you play roulette might be a risky thing to do. By playing free games you can learn to shepherd your resources and build up your skill. 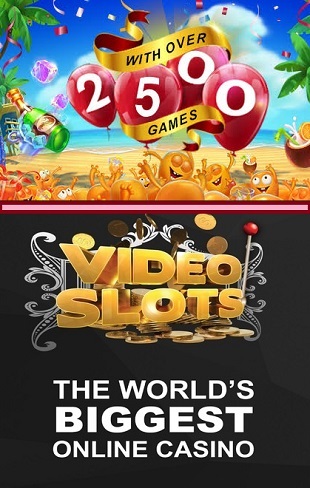 Free casino games will also teach you painlessly that you will lose an awful lot of the time while playing these games. Whether they are free or for cash, whether they are a real physical wheel being spun by a real person or an algorithm driving a virtual one, the system is set up to deliver a consistent profit to the casino. That doesn’t mean that you’ll never win, and it doesn’t mean that you won’t win a life-changing jackpot for a £1 bet the first time you play a game, but it does mean that most of the time the game will deliver a small loss against the player over the long term. This is a lesson much better learned with a notional balance than with actual money. Not all internet casino games suit themselves to free play, including poker of course, but if you can check out a simulator or a multiplayer game then give it a go. This is one of the prime advantages of online casino play over the real-life experience. If you do one day want to walk into a casino from the street then years of online practice will give you confidence and skills to do it with panache, and perhaps – profitably! 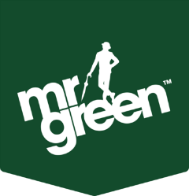 Casino games should be treated like any other sort of gambling – with caution and respect. We don’t want to put you off playing! This is a marvellous pastime and it might even change your life. They are rare, but professional gamblers do exist – although the best way to be a successful one is to start out with a huge amount of money. 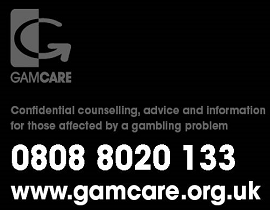 So always follow safe gambling protocols when you sit down at a card, dice or wheel table. Never gamble when you’re upset, or to try to overcome some real-life sadness – that’s the way to big trouble! Set yourself realistic limits on time and the amount of money you want to spend, and never gamble more than you can afford to lose – not just on one spin, but in a whole session. Here, online casinos can really offer you some good support, so make sure you’re aware of the services to limit your play at the sites that you like to use. Never play a casino game for real money that you do not understand. Never play a real money casino game without reading the full instructions. Don’t play a game without knowing what happens if there’s a malfunction. And never play a game that you’re not sure is fair. You were probably hoping that under this heading you would find a list of simple instructions for how to win, how to gamble successfully. That’s our last tip – accept that there isn’t one. There isn’t a “winning system”, anyone trying to sell you one is as bad a scammer as someone running a loaded dice game or marked cards. Gambling is random. You can’t trick it or cheat it and the sooner you accept that the more likely you are to just sit back and enjoy it, because that is the best and healthiest way to play as entertainment.